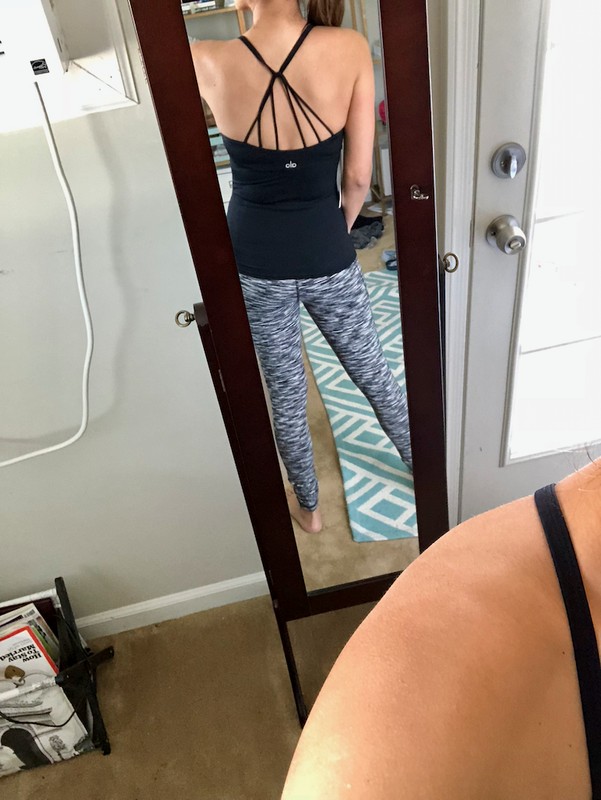 This January, I asked my Trunk Club stylist to send me some cute workout outfits! Could I do it myself? Sure. But I don’t have the time these days and that’s the beauty of having a free personal stylist! Not sure what this Trunk Club thing is all about? Read my full review here. I loved this Trunk! 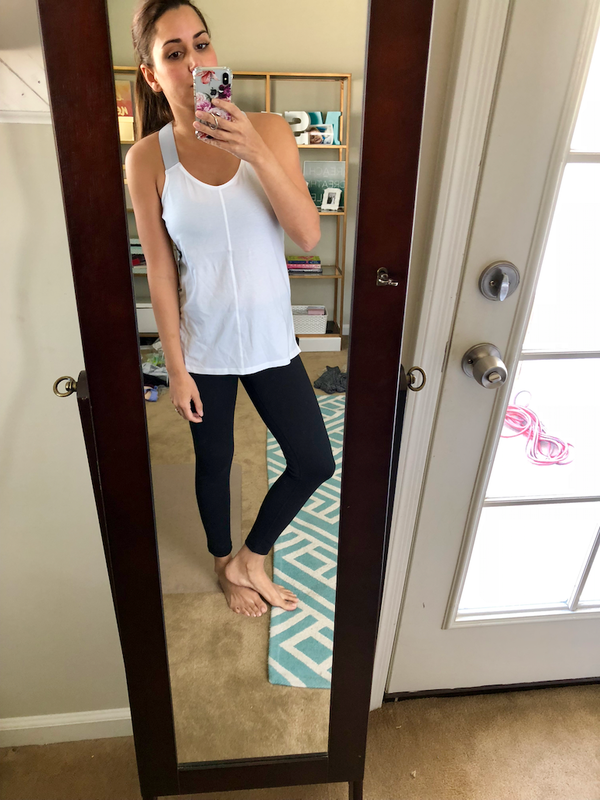 I’m a work from home mama so I am all about cute workout outfits that will take me from the gym to errands. 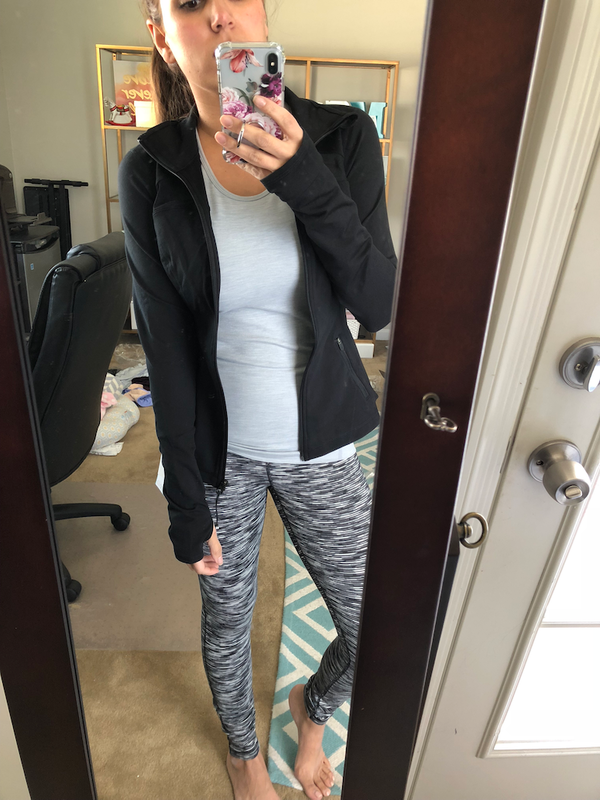 TBH, I’m not really working out a whole lot lately but I figured some cute workout outfits might help motivate me! 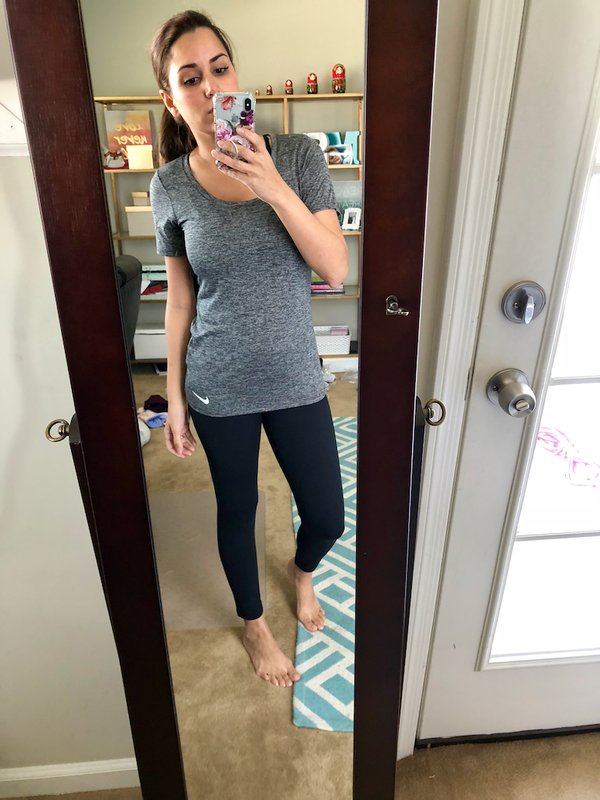 I never used to be the type of person who cared about workout clothes, but I’ve found that they really just make me feel good. 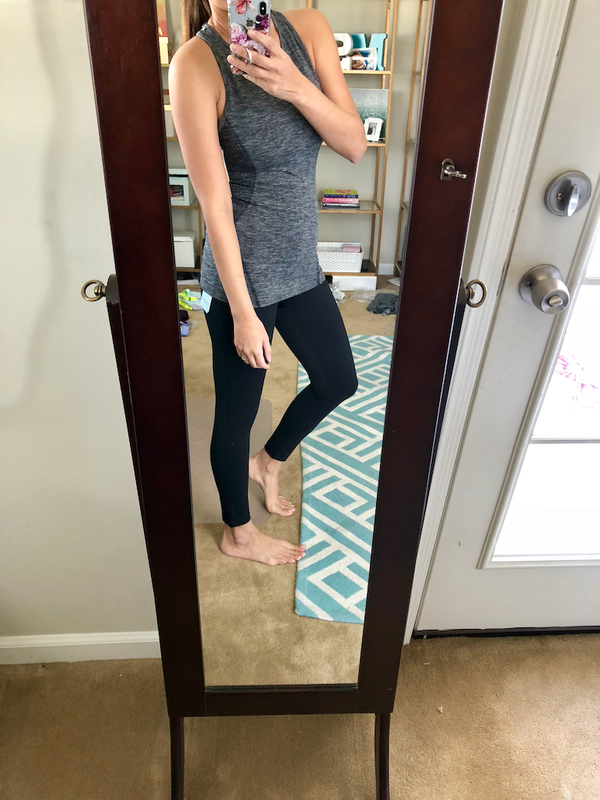 They make you want to go to the gym, or help you to not feel frumpy if you had, say, a split second of solo time to hit Target (that’s the dream!). 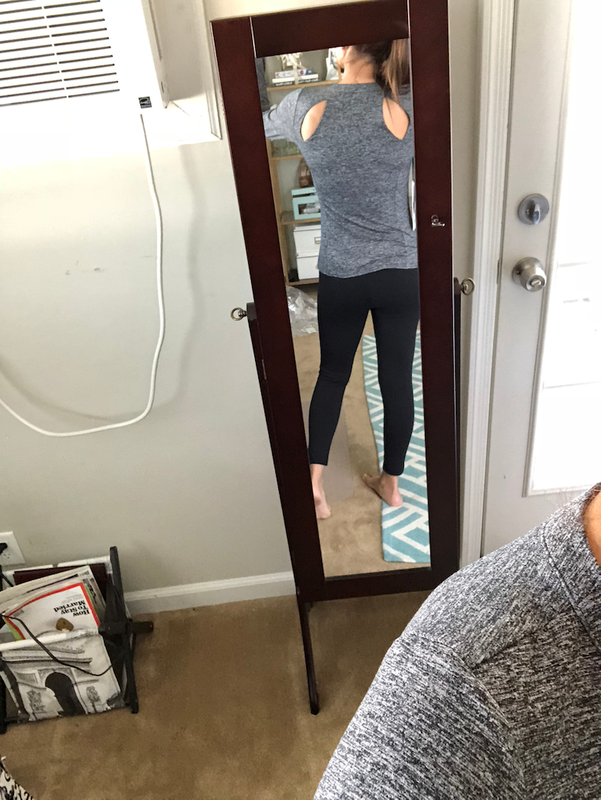 There was a lot I wanted to keep but I just went with a few fundamentals because I didn’t have a lot of workout tops. 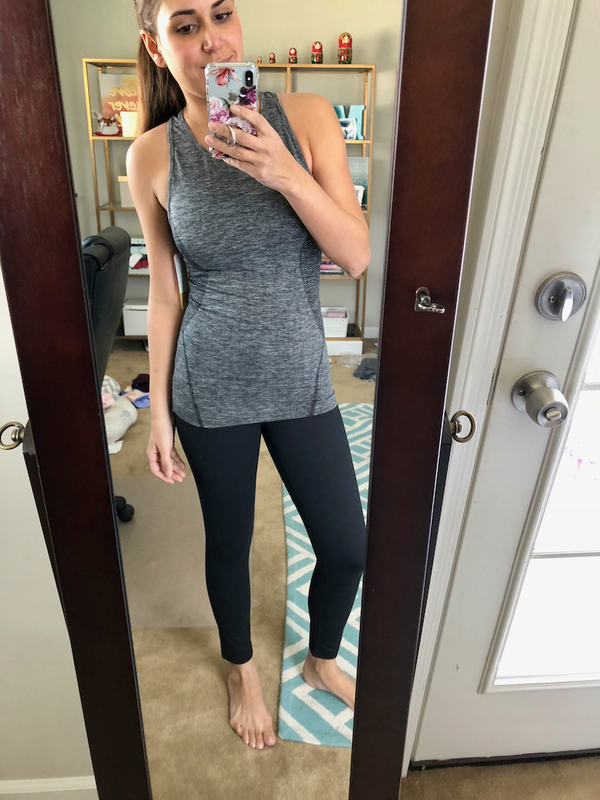 Typically, I am an all-black-to-the-gym kind of girl. 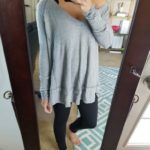 It’s easy to wash your clothes and they don’t show sweat as easily! So you can probably guess what I picked and what I returned. 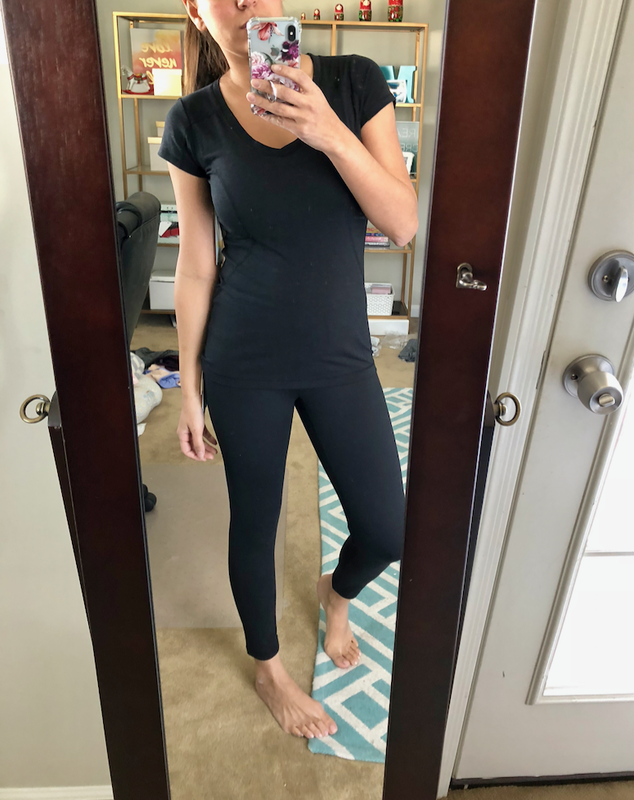 Z Zella Tee in black. RETURNED. I don’t wear tees to workout. 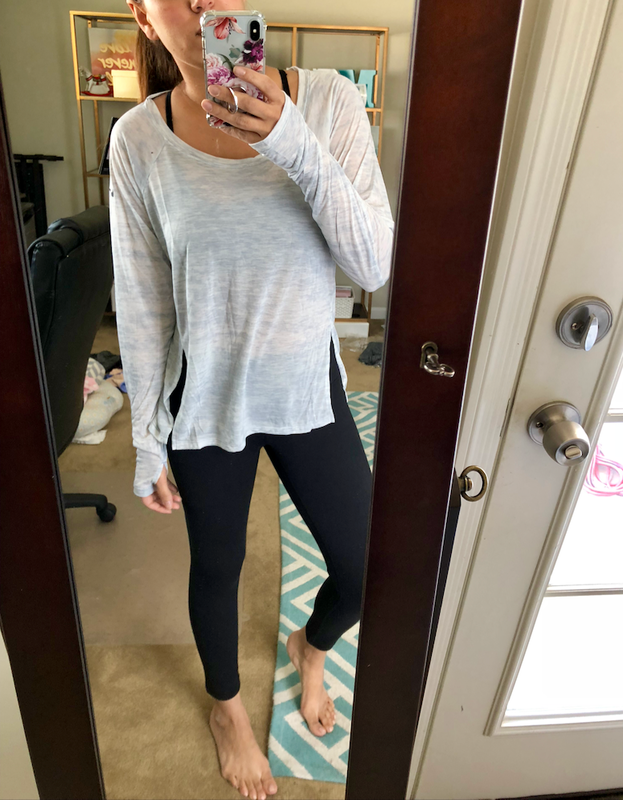 Zella High Waist Mineral Leggings, KEEP. 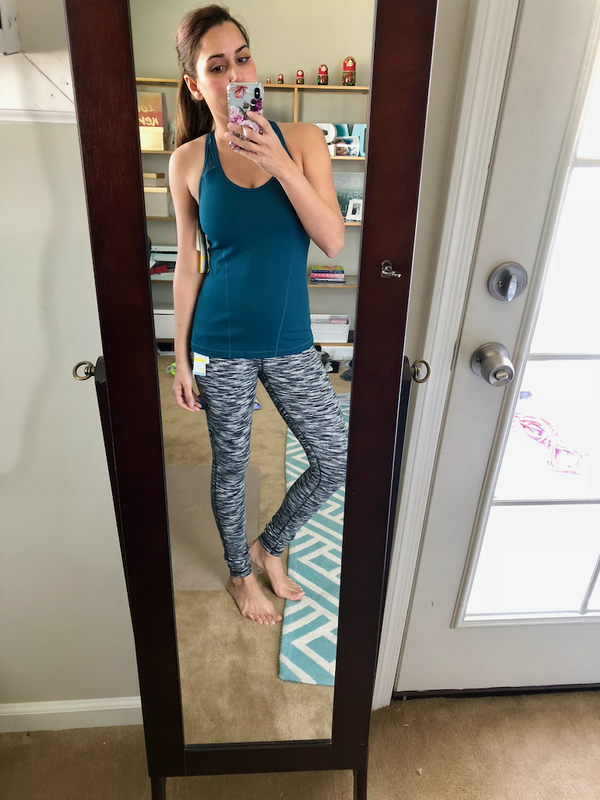 Zella Taylor Performance Tank, white. RETURNED. Zella Defy Zip Jacket, black. RETURNED. 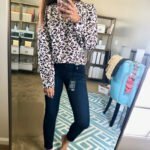 Zella Live in Midi Leggings, black. RETURNED. Because I have several pairs. 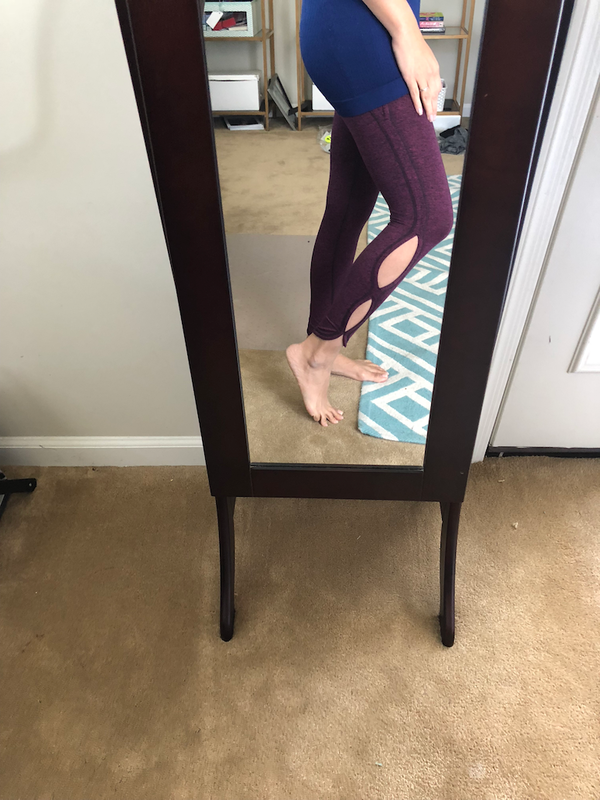 These are my favorite leggings but also on sale all the time. Nike Dry Training Tee, black. RETURNED. Nike High/Low Hem Top, white. RETURNED. Nike Pro Indy Sports Bra, blue. RETURNED. Alo Mantra Keyhole Top, black. RETURNED. Only because it’s AZ. Otherwise it was darling. Alo Sunny Strappy Built-in-Bra tank, black. KEEP. 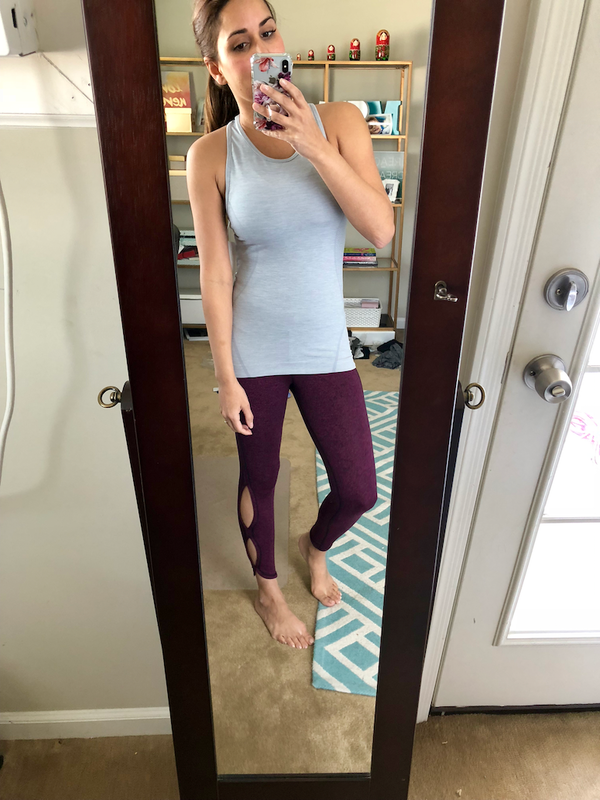 FP Movement Free People Infinity Cutout Crop Leggings, wine. RETURNED. These were SO cute but I like really supportive leggings and these were on the thinner side. *Size reference: All size small except the Nike tee is an XS. 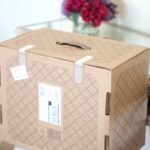 You can sign up for Trunk Club here and get $50 for every friend you refer!